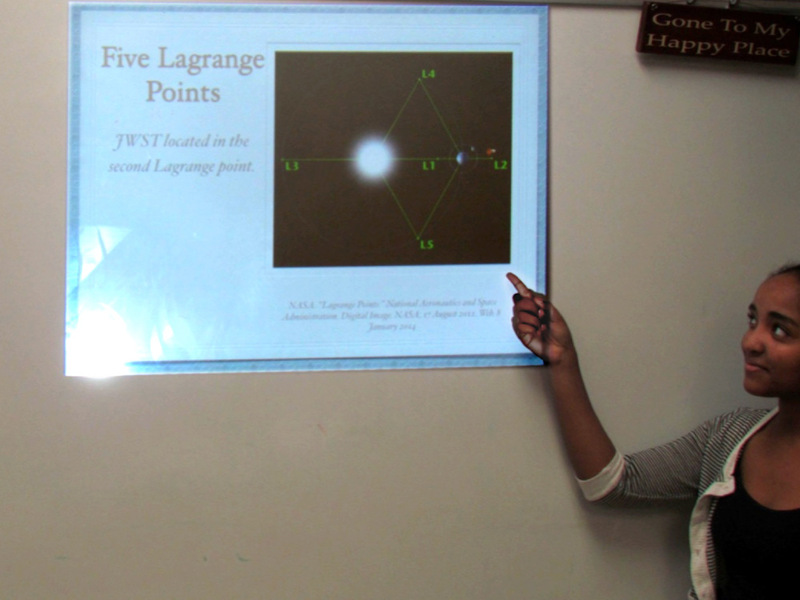 In this project, students researched telescopes, the Hubble Space Telescope, and the James Webb Space Telescope. Using their research the students compared the two space telescopes including the technology behind the telescopes, their position in the solar system, and the telescopes goals. Students presented their research using Keynote, Prezi, and PowerPoint.